Games on Demand starts on Thursday morning! Are you ready? Start Times: Seating begins at times listed below. Arrive 5-10 minutes before that to make sure you get a boarding pass. Boarding groups will be called randomly, so there’s need for lines or trying to get a specific boarding pass letter. Family Gaming: Most games are for ages 18+ but this year we will a number of games designed for ages 10+ as well! 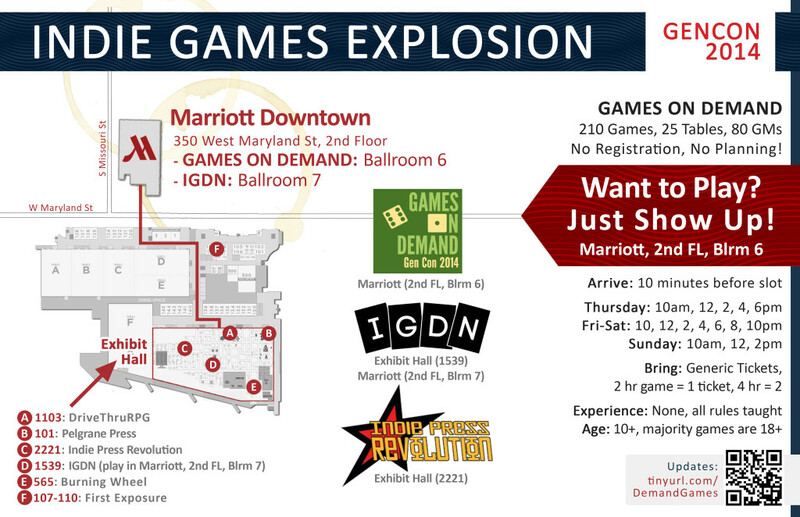 Tagged Games on Demand, gen con.